"I have had meals delivered to me for many years now and Camms Meals on Wheels has been my life-line. I have managed to stay in my own home because my family are happy that I receive a visit once a day and they know that Camms will contact them if they think that I need some extra support. Also having a least one hot meal a day supports me keeping my independence." "I ordered Meals on Wheels for my Father when he was on his own and couldn’t cook for himself. Although I do his shopping, I know that he is having one hot meal per day and at weekends too and so I don’t have to shop and cook every day but I know that he is being well fed. I couldn’t recommend Meals on Wheels high enough." 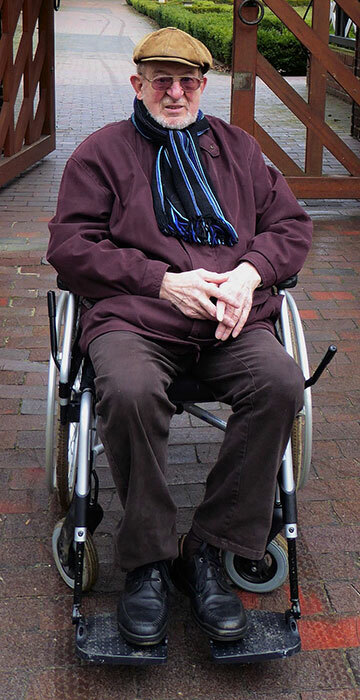 "Even though I have moved house a couple of times, I always stay with Camms Meals on Wheels. They are happy to work with me when I decide to choose my delivery days and I don’t have to have the same days every week. The service is very flexible and the staff are always helpful and caring. Thank you Camms – ( and especially Adam my Driver )." "Camms Meals on Wheels started a route in my area about a year ago. I have recommended this service to friends as I have been so impressed with meals and the staff. My family are much more relaxed now that they know that I have a daily visit and hot meal and I feel that my independence is assured for now as a result of their faith in this service. I choose my meals from the menus in advance and look forward to receiving the meals of my choice the following week." A few of the reactions from our happy customers.